Watsonia Primary School is located in the leafy suburb of Watsonia, about 20 kilometres north-east of Melbourne. The school is close to the amenities of Greensborough, Bundoora, Heidelberg, Eltham, Macleod and Rosanna, and is close to public transport. The school offers specialist programs programs including Art, Music, Physical Education and LOTE Italian. 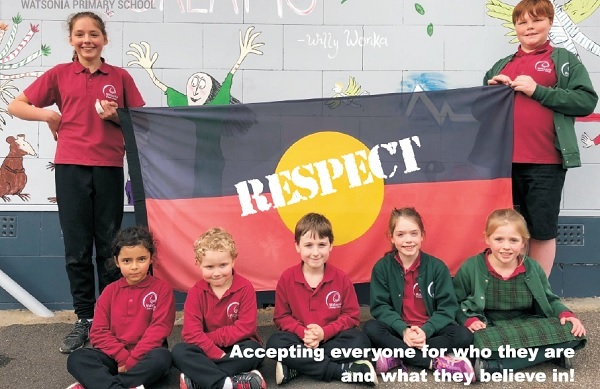 Watsonia Primary is a small school with a strong community focus. Enrolments have risen steadily over the last five years, with increased Prep intakes each year. Small class sizes provide an ideal learning environment. The school is well known for its community feel and parents, students and teachers work well together. Programs which support our healthy schools initiative include K-Club and a healthy school canteen. Whole school events such as Twilight Sports, the bi-annual School Production and Art Show are enjoyed by all. Recent building works include the installation of solar panels, water tanks and the refurbishment of the Prep classroom. Our new multi-purpose hall also has a dedicated music room and stage. Question and Pose Problem How do you know? Having a questioning attitude; knowing what data is needed and developing questioning strategies to produce that data. Finding problems to solve. Think Flexibly Look at it another way! Being able to change perspectives, generate alternatives, consider options. Persistence Stick with it! Persevering with the task through to completion; remaining focused. Looking for ways to reach your goal when stuck. Not giving up. Think Before You Act Take your time! Thinking before acting, remaining calm, thoughtful and deliberative. Learn Continuously Learn from experiences! Having humility and pride when admitting we don't know; resisting complacency. The foundation of Watsonia Primary School's innovative approach to learning. Watsonia Primary School uses Compass Student Management system to communicate with parents. This is available online or via the Compass App. Please click on the link below to find out more. We pride ourselves of having a dedicated, helpful team of parents who support our school. Please find in this section all the information related to school uniforms, enrolment, how to get involved in the school and much more. Integrated Studies: Science, humanities, geography, technology, personal learning, interpersonal learning etc are addressed throughout the year in either stand-alone lessons or incorporated into the integrated studies program. ICT Our school offers all students access to up to date technology. Every classroom has an interactive whiteboard. Banks of wireless laptop computers provide both individual and group access within the classroom learning environment. Specialist Art Classes: Biannual Art Exhibition. View the Artwork Gallery here. Specialist Music Classes: With choir, recorder group and band and biannual production. Student Support Program: Academics and Counselling. Homework: Regular homework starts in Prep with readers and literacy. Outdoor Education Program: Our Outdoor Education Program begins in Prep with our students attending a Prep breakfast. Our Grade 1/2 students take part in a BBQ dinner followed by a disco. Our annual three-day camp is offered to our Grade 3-6 students. Literacy Program: All classes have a daily two-hour literacy block with a focus on reading and writing. Individualised programs are supported through whole class and small ability based groups. Home reading and spelling programs create an important link in the learning partnership between home and school. Numeracy Program: The daily numeracy block involves the learning of new concepts as well as practice with number facts and operations. A supportive environment with a wide range of concrete materials and approaches encourages students to ‘have a go’ and learn from mistakes. 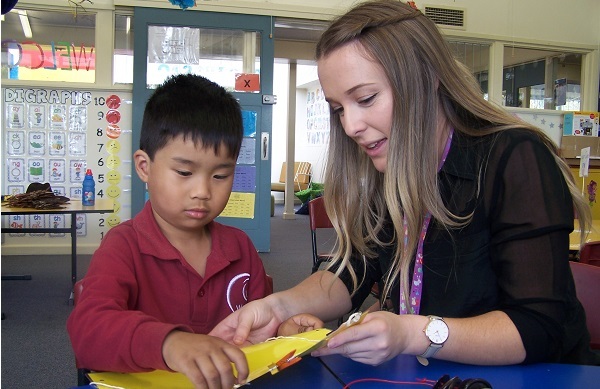 In both literacy and numeracy, students are able to access additional support and some individualised assistance. Our Prep Orientation Program occurs in the November prior to school entry. 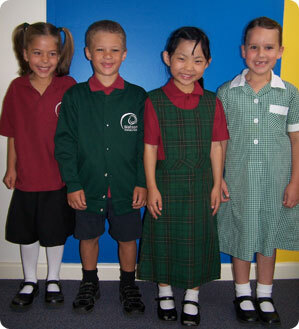 Preps beginning in the following year attend three Wednesday mornings. During these two hour sessions the ‘new preps’ meet the Grade 5 students who will be their Grade 6 buddies; share time with their teacher and classmates; meet and work with the specialist teachers; become accustomed to the school environment and finish with a Teddy Bears Picnic. This very special orientation program sets the scene for a happy and confident beginning to your child’s school life. Prep buddies: Our grade 6 students build a special relationship with our Prep students to promote an easier transition for kindergarten to school. The Buddy Program offers Preps someone who is familiar to them in the school yard and they know their grade 6 buddy will always look out for them. The Prep and Grade 6 students spend a session a week together working on fun activities. 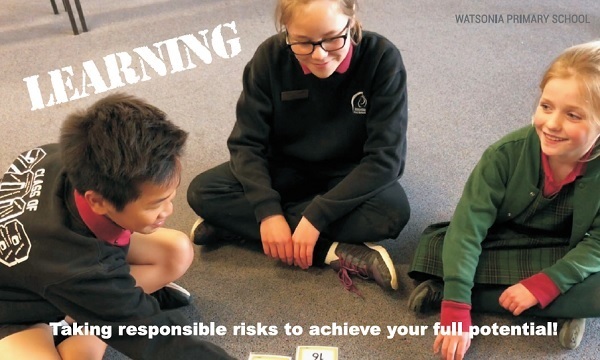 Helping our Prep's feel comfortable in our school environment and building great relationships is a high priority at Watsonia Primary School. Transition throughout the school is supported with a half day transition morning in the final week of school where teachers and classmates for the coming year meet together. Teachers are also released from teaching to sit together and share important information about students to provide them with a smooth transition into their next class. Secondary Transition: Our school feeds all of the secondary schools in the local area. Grade 6 students and parents attend open days and evenings at the secondary colleges. The grade 6 students also attend the orientation day in December. Building relationships across all sectors of our community is very important at Watsonia Primary School. We welcome elderly citizens from our local community to volunteer their time and share with a ‘special friend’. Our grandparent volunteers attend on a weekly basis spending time with individual students, assisting them with academic work but more importantly building a special relationship bridging the gap over two generations. 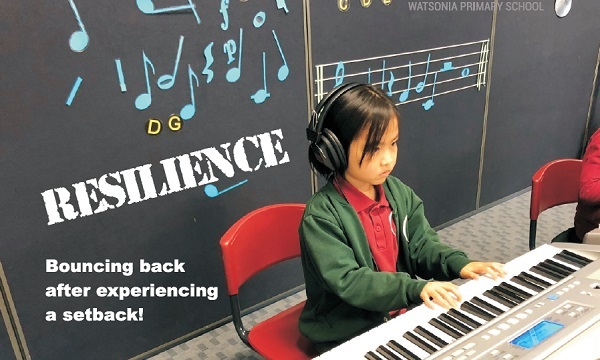 Watsonia Primary School is currently enrolling Preps to Grade 6 for the new school year. We will require an IMMUNISATION CERTIFICATE before your child begins school. Tours can be arranged by contacting the school office on (03) 9435 2917, or email the Principal, for an appointment. In the classroom: Parents (or grand parents) are encouraged to come Be Involved 2into the classrooms to help with: hearing children read; assisting small groups; organising activities, or one of the numerous other tasks of a busy classroom. Support and/or training is always available. In your child's learning Assisting your child at home with reading, spelling/homework activities is an excellent way to be involved and support your child’s development. If you can’t come into school, you might like to assist by covering or repairing library and reading books at home. As a parent helper: Don’t worry if you can’t make it to the classroom, you can assist with canteen, gardening, working bees, maintenance work or sporting teams. School Council: The governing body of our school. Watsonia Primary School Council consists of seven parent and three staff representatives. Elections take place annually in February. There are two meetings per term, along with one relevant sub-committee meeting. School Council is an interesting and effective way to be involved in the improvement of our school. Observers are always welcome at School Council meetings. Damien Adcock is the 2014 School Council President, supported by Vice President Janie Beasley. Both can be contacted via email. Committees: The School Council sub-committees are: Education, Finance, Facilities, Marketing, Parents & Friends, Out of School Hours Care, Canteen and Uniform. All school community members are invited to be members of these committees. Please contact the school for further information. Watsonia Primary school offers a safe and secure Before & After school care program for children which is provided by Extend. Please find below Winter 2016 Canteen menu. This information will be updated at the beginning of next term. Unforgettable moments where our students have shone. Enjoy! During November we will offer a Prep Orientation Program for children commencing Prep in 2020. This program runs for three mornings from 9.00 to 11.00. This program provides children with the opportunity to meet teachers and other students who will be in their class in the coming year. On confirmation of enrolment, families will be provided with more details regarding this program. We also have a Grade 6 "Buddy" program which matches each prep with a Grade 6 student who helps them to become familiar with the day to day routine of our school. Keep up to date with the latest weekly newsletters, class newsletters and annual reports. Just click on the links to open. 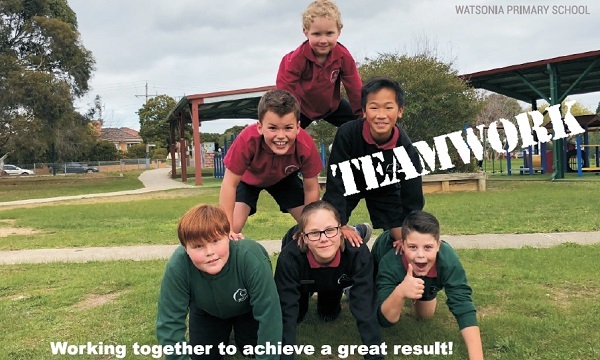 Copyright © 2019 Watsonia Primary School. All rights reserved. Welcome to Watsonia Primary School’s website. We hope that you will enjoy the celebration of our learning in this site and that the information provided is of use to you. 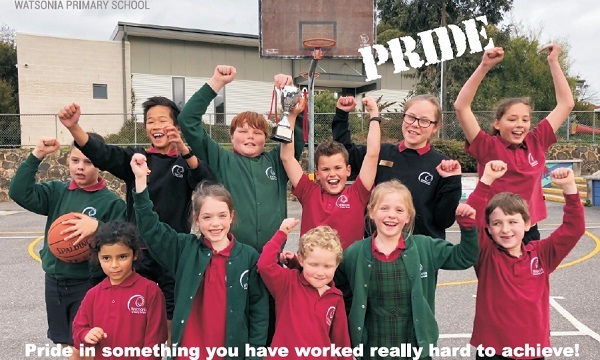 Watsonia Primary School is a small school with big school resources and great results. I often say to parents that we are a small school which offers many of the programs of a big school but with the personal touch! Our school has a welcoming family atmosphere where all teachers and students know each other. As Principal I know all the parents at our school and the students who attend. The relationships we build with our community are paramount to the success of our students. 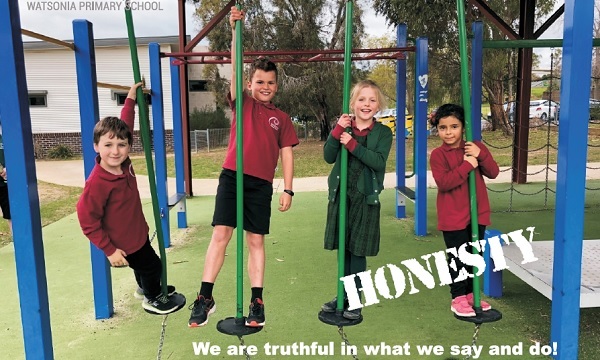 The curriculum provided at Watsonia Primary School covers English and Mathematics with an Integrated Curriculum program focusing on Science, Technology, Humanities and Personal Learning. We have specialist teachers for Music, Art, LOTE (Language Other Than English) Italian and Physical Education. There are also student support programs assisting those who require help with literacy and numeracy. Students who excel are also extended and challenged. Our classrooms are spacious and welcoming, with heating and air-conditioning. Each classroom has a range of technology access for students including interactive whiteboards, wireless laptops and iPads. Programs within the classroom are designed to provide students with many opportunities to use technology to enhance their learning. Watsonia Primary School offers students extracurricular activities in private instrumental lessons and dance lessons. Our unique ‘Grandparents’ program forges relationships across the generations. Local senior citizens volunteer their time to work with students of all ages. The bond between student and ‘grandparent’ is evident as they learn from each other. The LOTE Italian program has a ‘Bella Lingua’ group which provides extension activities and opportunities. The school choir sings at local venues and provides students with another opportunity to display their talents. We welcome visitors to our school. If you are looking for a school for your child you are invited to make an appointment to have a tour with myself. A personalised tour can provide time to discuss information that is relevant to your situation. Please explore our website further and if you would like to speak with me please call 9435 2917 or email: contact me via email.